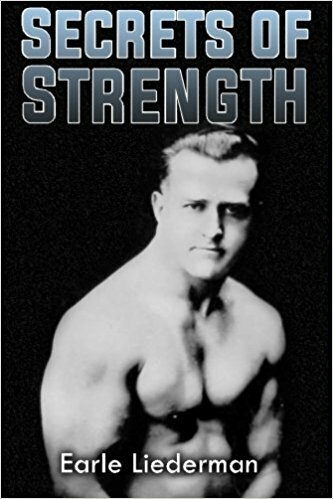 Since the inception of HARDGAINER, the suggestion has subtly surfaced within its pages, on occasion, that, for certain categories of serious weight trainees, the repetition bent-legged deadlift (8-20 counts) may produce more long-term size and strength gains than the considerably more heralded repetition back squat. Truth be told, one of the advocates of this proposed "new wrinkle" in the conventional wisdom has been the editor of HARDGAINER. A major hurdle in his own training life prompted Stuart to pose this seemingly provocative proposition in the first place. Briefly, Stuart read voraciously of the renowned "squat for success" philosophy. 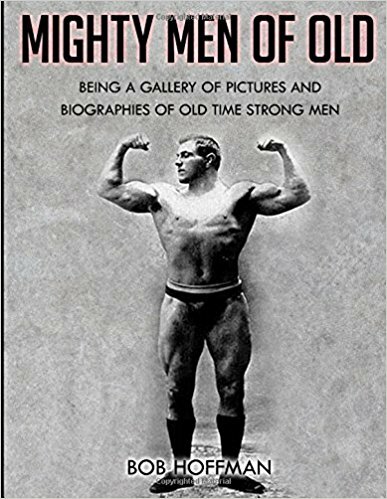 He believed in the advice that heavy, repetition back squatting was the ticket to realizing one's full measure of might and muscle preordained by Mother Nature; and he pursued cycle after cycle of routines which had the back squat positioned as the cornerstone. For a few years, this supposedly fail-safe approach yielded anticipated progress. 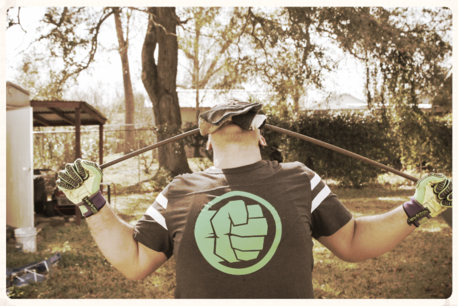 At this juncture, however, Stuart encountered an insurmountable plateau which would not respond to a diverse array of commonly espoused remedies--noticeable escalations and reductions in training volume, different repetition counts, layoffs, meticulous poundage cycling, greater attention to flexibility work, adjustments in squatting style, knee wraps, and more. Over the years that followed, Stuart's persistence was further rewarded with the onset of potentially chronic knee and lower-back pain. The coup de grace, however, was his observation that others in the gym with commensurate workout experience were still benefiting greatly from the "squat for success" plan. As his frustration and confusion built to a crescendo, Stuart began focusing on the bent-legged deadlift in a major way. The switch proved propitious almost immediately. Each workout found him progressing. Of course, this scenario provided the lead-in to his triumphant achievement of deadlifting 400 lbs for 20 consecutive reps, which was chronicled in HARDGAINER issue #21. Understandably, this turn of events prompted Stuart to wonder if there weren't at least some qualifications needed to the "squat is unparalleled" dictum, as well as why such a variance would occur. Moreover, he wondered if others had experienced the same phenomenon, and what they did about it. Al Gerard, originator of the Trap Bar, crossed this same bridge before Stuart. While we already know what solution this powerlifting engineer settled upon (the Trap Bar), examining the discoveries which brought him to it can shed much light on this whole issue. As reported in HARDGAINER issue #25, which carried a detailed article authored by Paul Kelso focusing on the virtues of the Trap Bar, back problems prompted Gerard to seek some sort of less-damaging alternative for overloading his lower-body and lower-back musculature. In point of fact, Al had suffered five prolonged episodes of nasty lower-back miseries, all of which, he noted, came as a direct result of heavy back squatting. Aside from these setbacks putting a decided dampener on his competitive powerlifting aspirations, there was always the worry that such conditions could become chronic. Because he didn't know precisely what device or apparatus would ultimately meet his requirements, Al reasoned that a bio-mechanical study would be a logical first step. Fortunately, there was a substantial number of local high school athletes already actively involved with intense weight training workouts who were more than willing to participate. 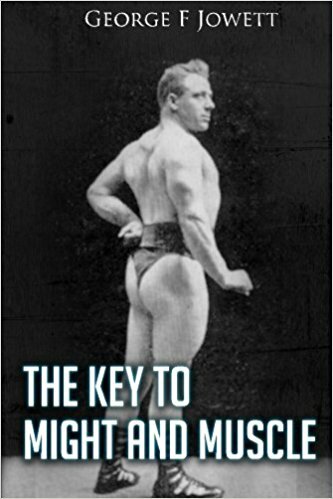 When completed, this extensive investigation produced much valuable information which explained Al's penchant for recurring back injuries, demonstrated that not everyone benefitted equally from back squatting, and revealed that many individuals in the aforementioned category did respond favorably to heavy pulling movements and, more importantly, explained why these observations occurred. Cutting to the crux straightaway, Gerard determined that individuality with regard to basic fulcrum-lever physics held the key. Specifically, due to wide variation in skeletal leverages, trainees possessing certain kinds of physical construction were at a greater risk of injury while back squatting. Moreover, generally speaking, the typical "squat disadvantaged" type of body build was characterized as having a short torso and long legs, especially inordinately long thigh bones. Also, very tall trainees--even those with more balanced upper to lower body apportionment--qualified. Further, Gerard noted that those with the "squat disadvantaged" structure innately tended to lapse into body positions which left them susceptible to spinal injury during back squatting. In fact, vulnerability generally peaked during the squat descent at and below the point where the upper thighs form a 300 angle with a line drawn parallel to the floor and through the knees. The exact anatomical trouble spot was the spinal section from the fifth lumbar vertebra down to the coccyx, which would prematurely rotate under the rest of the spine during the bottom portion of the squat. Naturally, the likelihood of aggravating this danger zone escalated greatly when very heavy weights were applied to the squatting movement. Of course, it occurred to Gerard that much of the danger could be avoided by limiting the descent depth to the 300-above-parallel point, among those who were inclined toward problems. This tact was never in the "acceptable remedy" category because curtailing a squatter's range of motion can trigger another set of problems, especially among athletes who are competing in other sports. For example, the muscles of the lower body are robbed of complete development. Even worse, optimal flexibility in the joints of the lower body would never be realized. Interestingly, limiting squat depth short-changes the knee of maximum stability and strength. Some research studies have concluded that squatting to the depth where the upper thighs are parallel to the ground is required to fortify the connective tissues of the knee joint, and solidify its structural integrity. One such research project was conducted at Oregon State University in the early 1980s. As a way of contrast, those participants in Gerard's study who possessed a squat-efficient kind of physical construction (relatively long torso and short lower body levers) could, as you would expect, readily achieve all of the criteria of textbook squatting technique--a very straight spine even at 150 below parallel when under a squatting load, a very upright torso position, and the ability to keep gravity (focal force) on their heels throughout the entire lift. As this study progressed, Al attempted to alter lower leg positions of the leverage-disadvantaged squatters. (This would include heel elevation in some people, though for many such a measure increases the risk of injury to the knees.) While such measures did greatly reduce the spinal stress these lifters sustained while squatting, they increased the shearing forces to the subjects' knees to injurious levels. Plus, these technique alterations radically lessened the amount of resistance the subjects were capable of squatting. Hence, the overload to their lower body musculature was diminished. Needless to say, Al quickly abandoned this "round peg in a square hole" approach when safety, first, and overload capabilities, second, were compromised. In the same vein, more than a few professional and college strength and conditioning coaches do not force heavy back squatting on their athletes, especially the very tall ones, due to biomechanical considerations which can impact on one's risk of injury. Typically, coaches who are acutely attuned to such possibilities give the leg press and/or Trap Bar deadlift prominence in lower-body routines. Of course, squatting on very specialized devices like the Tru-Squat apparatus, as well as serious work on various hip and back machines, may also be included. Bear in mind, these coaches are training athletes who are only looking to get muscularly larger and stronger for increased performance in their chosen sports, in addition to seeking balanced muscular development so as to minimize their likelihood of sustaining an on-field injury. 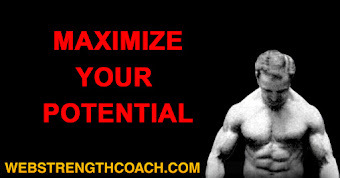 The coaches are not trying to cultivate elite powerlifters or bodybuilders. What extraordinary attributes does the squat hold in order to earn it the hands-down sine qua non reputation it enjoys among body/strength-building exercises? Quite simply, it works the largest muscles of the human body against the greatest possible resistance the structure is capable of overcoming. This, of course, maximally develops the key thigh, hip and lower-back musculature, thereby paving the way to realize one's full genetic inheritance for size and strength. Just as important, the demanding nature of the squat dramatically enhances one's respiration and triggers powerful internal chemical reactions, notably those relating to metabolism and the natural production of testosterone, which catalytically drive this whole gaining process. Without question, the squat performs this little miracle. However, doesn't the repetition deadlift exercise possess the wherewithal to duplicate all of the advantages available from the squat? Since the same prime movers are employed, the lower-body musculature is overloaded maximally, one's respiration is certainly taxed massively after 10-20 consecutive reps with a challenging weight; and the physical demand of the deadlift guarantees comparable activation of the internal processes. Plus, like the squat, the deadlift is every bit the total-body movement in that it forces participation from the smaller muscle groups along with the larger ones. In fact, areas like the forearms and traps receive more direct stimulation from the deadlift. Since both the squat and the deadlift are superlative overall conditioning exercises, it would seem there are two worthy claimants to the title of "definitive growth-inducing exercise," instead of just one. The deadlift version I am referring to is the conventional style, not the sumo style which is more suited to the squat-advantaged. As esteemed as this pairing is, it's already been demonstrated that, at least in some cases, they will not serve with equal effectiveness. The most glaring disparity is in one's respective exercise poundages. The amount of resistance that can be employed is important because there is a well-established correlation between it and one's size and strength status. 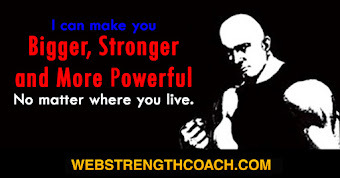 Perhaps this is a somewhat oversimplified statement--though not by much--that bodybuilding is little more than powerlifting (or strength training, if you like that term better) done at higher repetitions. Still, the aim is to add more weight to the bar on basic exercises over the long haul. It's a fine strategy for those constructed for efficient squatting to devote years on end to this exercise. But the individual whose mechanics are inclined toward better deadlifting will be handicapping himself needlessly by following the same squat-focus path. Wouldn't it be better for this latter trainee to, at least some of the time, focus on the deadlift, thereby cultivating his greatest asset to the fullest? Poundage disparities between the squat and deadlift can be substantial. 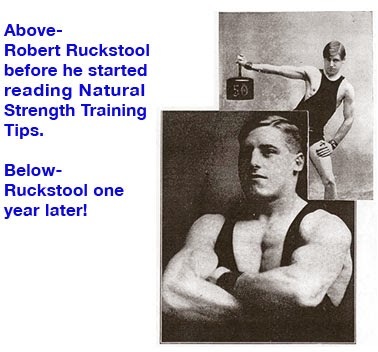 Examples abound in competitive powerlifting, especially in the early days. At the first national powerlifting tournament held in the USA, in 1964, some vivid ratios could be found among the seven class winners. Middleweight winner, Nathan Harris, exhibited a 180-lb spread (445 squat vs. a 625 deadlift); Terry Todd, heavyweight winner, squatted 600 while deadlifting 710; Wilbur Miller, runner-up to Todd, displayed a 200-lb gap (515 squat vs. 715 deadlift). In passing, note that Miller deadlifted this 715 with a clean (knuckles-front) grip! No one at this inaugural event, however, had a squat-deadlift differential approaching featherweight (132 lbs) winner, Hal Raker. Raker's differential was 240 lbs (235 squat vs. 475 deadlift). In case readers wonder why I went back to 1964 to make comparisons, the sport of powerlifting was in a more "natural" state in those pioneer days. Specifically, there was no support gear to artificially aid a lifter's performance--no supersuits, bench shirts, erector shirts, specialized knee wraps or deadlift slippers. Actually, standard-issue lifting attire then was either a lifting singlet or a T-shirt (usually white and devoid of advertising or slogans), and trunks. Footwear, in the main, was limited to either sneakers or work boots. 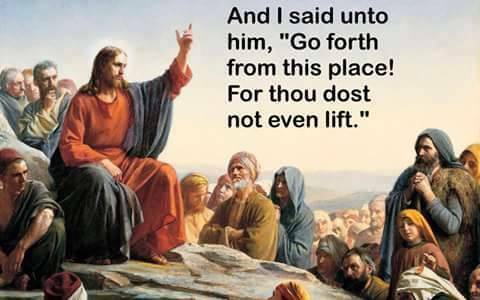 Okay, that's powerlifting, you say. I specifically denoted that this discussion is related to the squat and deadlift strictly as repetition bodybuilding exercises. Nevertheless, even when doing reps, more resistance should always be the goal. Al Gerard is adamant about utilizing the best loading mechanism (exercise) possible for maximally developing any muscle group, assuming that safety is not jeopardized. If a trainee finds that in his case the greatest- resistance-equals-greatest-results formula favors usage of the squat, then this should be his focal point the majority of his training career. On the other hand, if another trainee sees that the greatest poundage rule favors the deadlift in his case, then he should pursue this barbell maneuver with fervency. Although nothing presented here is new or revolutionary, the relationship between the squat and deadlift is explored in a different manner to that most readers are probably accustomed to. Hence, there's a chance that parts of the message will be misconstrued or taken out of context. While it's a given that a trainee with competitive powerlifting aspirations must practice both the squat and deadlift continuously, his counterpart who is merely interested in maximizing his size and strength capacity in a much broader way is at liberty to concentrate on either movement at his discretion. This is not to imply, however, that those with "squat disadvantaged" physical construction should totally ignore the squat. Especially during one's formative period with progressive resistance exercise, both the squat and deadlift should be pursued. But after a couple of years of divided focus on the pair, if either movement appears to hold decidedly more promise than the other, then a prolonged cycle or two of singular focus on the dominant movement is in order. In fact, to refrain from doing this would seem to be a needless handicap. And, in time, this same individual can (and probably should) come back to the neglected movement of the pair and pick up on it to the exclusion of the other. Frankly, this tact amounts to a workable form of lower-body specialization which gives the mind, and, to some extent, the body a break from at least one of the two big movements at any given time. Plus, when a new cycle or routine is embarked upon, one has a new challenge to look forward to--this is not an insignificant factor when reflecting on the years of hard work required on such a small repertoire of exercises. Actually, among elite strength devotees and powerlifters there have been practitioners who have rotated squat-emphasis and deadlift-emphasis routines. Examples will be outlined in the next issue of HARDGAINER, along with effective utilization of other forms of the bent-legged deadlift. 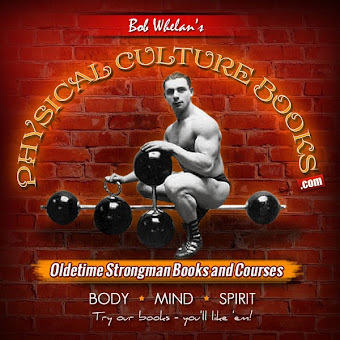 In closing out the ledger for this issue, I want to stress in the strongest possible terms that none of the suggestions here are rooted in any negativity toward the back squat, which has been and remains in the vanguard of bodybuilding exercises. Rather, this presentation is about maximizing productivity--using one's options to the fullest as they relate to personal physicality. At the same time, there is admittedly a consciousness-raising dimension to this article. Too many iron pumpers think of the deadlift as strictly a single-repetition competitive lift, or as nothing more than a complement to the back squat. Sort of a "bridesmaid" of lower-body exercises. Nor has there been a 50-year publicity campaign associated with the deadlift, as the squat has benefitted from. In fact, when was the last time you ran across an article of consequence devoted to the deadlift exercise in a muscle magazine, save HARDGAINER? They are few and far between. Yet, without question, the deadlift has the wherewithal on its own to pack many pounds of lean tissue on the body, and much power into the muscles.